Teru is a surgeon who just out of medical school and start to work in yasuda kinen hospital, also known as Valhalla, eventhough he is a doctor he really clumsy and nervous. His tutor, Dr. Kitami Suichi is not a patient doctor, and he doubt about Teru’s ability as a doctor and people around him also wonder why he decided to bdepend on his ownecome a doctor, despite being told that he is a clumsy doctor, Teru still do his job carefully and he also do alot of parctice toimprove his ability. Teru habits will change when he meet a difficult situation who need alot of consentration and related to life and death situation, he suddenly become a really different people and he can save the patient. Kitami still not believe in teru’s ability and he also said that he doesn’t believe in luck. he said that a surgeon has to depend on his own abilities not luck. Then the Director told him a shocking fact that during Teru practice in university for 3 years he never meet a dead patient which is impossible for a doctor never met a dead patient, it means that no matter how worse the patients’s condition, Teru always able to save them. 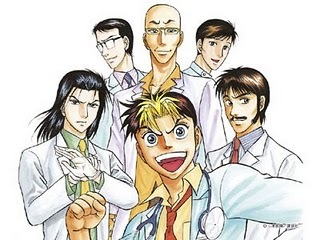 This manga not only about how Teru Slowly become a good doctor but also about intrique related with another hospital that want to take down the Yasuda Kinen Hostipal and rivalry with another doctor. 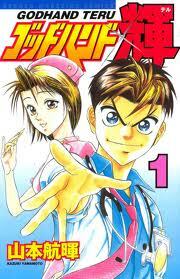 What Teru want is to help and saving people, and sometime his dedicated make him do something that unusual method. Teru also clumsy when he has to talk or show something infront many audience, but when he facing a patient he forget about everything else and make audience drown to him. His enthusiasm also influence people around him and he also able to make patients trust at him and slowly make a huge change in the medical world.